Whoever said getting older was a bad thing, obviously didn’t know about our fantastic seniors day discounts! Age has its privileges. 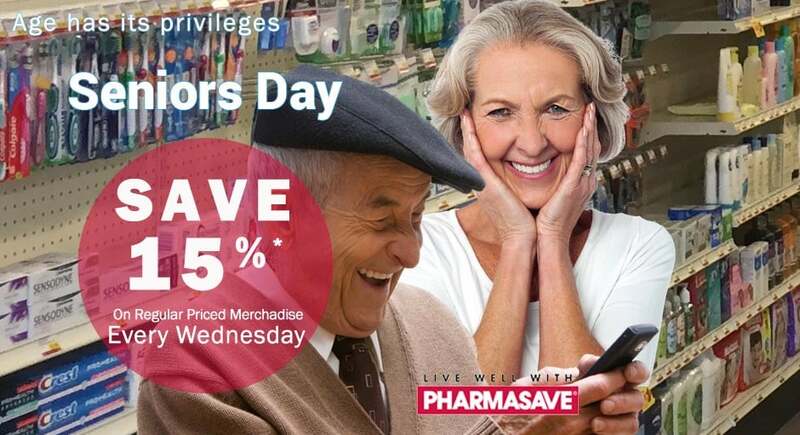 Every Wednesday, seniors save 15%*. Come on in and take advantage of our knowledgeable staff and fantastic Pharmacists. We will be sure to help you find the products that will serve you best! *Discounts apply to our regular prices on all merchandise purchased by seniors. Some restrictions apply. Excludes sales items, gifts with purchase, gift certificates or cards, phone cards, lottery tickets, stamps, delivery charges, event tickets, charitable donations, products containing codeine, insulin, prescription medications, pharmacy services and Ideal Protein. Other exclusions may apply — Cannot be combined with any other offer.